Get Your Rent Receipts Now! 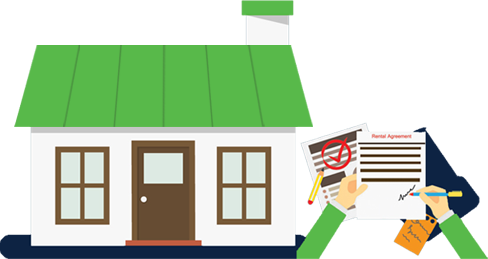 Avoid the last minute hassle of arranging your rent receipts for claiming HRA exemption. Use our free rent receipt generator and save taxes. It is fast, convenient and easy. Your receipts are ready for printing below. We have even mailed them to you. Generally employer ask for rent receipts for 3-4 months. Is it necessary to affix revenue stamp on rent receipt? Is PAN of landlord required for claiming HRA? The only evidence required for claiming HRA is Rent receipt issued by landlord. Do I need xerox/photocopy of landlord's PAN card? No, there is no need for the same. Only PAN No is required to mention on rent receipt. Why is PAN of landlord required? The reason behind declaring landlord's PAN is to track fake receipts being submitted by employees to claim HRA. Our experts are here to help you claim all the available tax exemptions and deductions & file your IT return in a hassle-free manner. Connect Now to know how! How to generate Your Rent Receipts. PAN of landlord is required only if rent exceeds Rs.8333/- per month (Rs.100000/- annually). 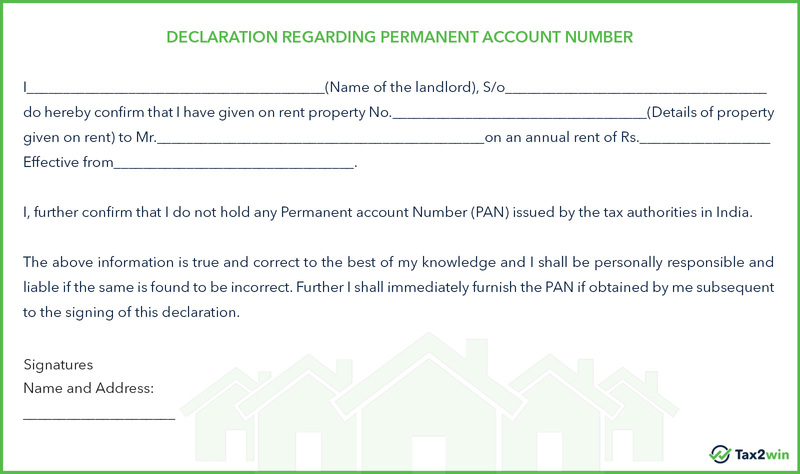 In case landlord does not have PAN, declaration of the same is required.